SHE'S GOT THE LOOK: "I have this great mission to save the world," Medina says. Her sun-kissed radiance aside, the most fascinating thing about globe-trotting blogger-entrepreneur Francheska Medina is the story she relates of how she got her now flourishing business off the ground: As she tells it, she picked up an undisclosed illness when she turned 25 (she's now 31) that in compelling her to take better care of her health (as far as diet and fitness are concerned) ended up transforming her life in ways she never imagined. For one thing, it gave birth to her online health-and-beauty oasis heyfranhey.com that has since morphed into a juggernaut boasting a global following, countless Jamaicans included. "I have a better understanding of who I am now. Life is great," she says of her life now. Hailing from Harlem by way of Dominican Republic, the Oberlin College grad is a one-woman holistic enterprise, whose enviable day job sees her organizing retreats, which bring together all the elements of healthy living. And the passion for what she does is so palpable it isn't hard to understand why she ditched her plans to enter politics in favour of heeding her true calling. "Now I have this great mission to try and save the world." She smiles widely, then hints at a few of her long-term goals, which includes venturing into the commercial beauty industry. "I have a cool line of products that I'm working on," she says. "And it's my dream to one day open a state-of-the-art wellness centre." 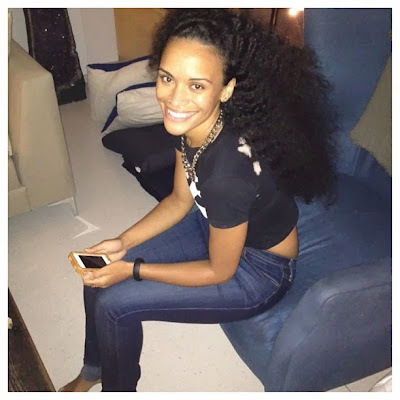 >> To learn more about Fran and her global exploits, visit heyfranhey.com.